A 52-year-old man was beaten into a coma on a city sidewalk last month, and authorities have released video of the attack in hopes of catching the suspects. Ida Siegal reports. 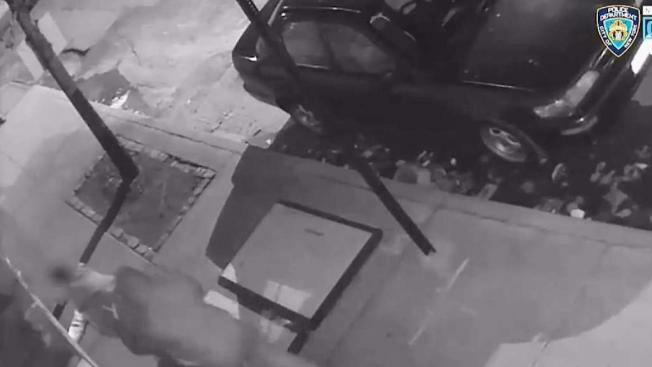 A 52-year-old man was beaten into a coma on a city sidewalk last month, and authorities have released video of the attack in hopes of catching the suspects. The man was walking near Park Avenue and East 140th Street in the Bronx around 1:15 a.m. Sunday, March 24 when a stranger punched him in the face, knocking him down to the pavement. As he was on the ground, the attacker punched and kicked him repeatedly until he blacked out, police say. The man suffered a fractured skull and remains hospitalized in a coma in critical condition. Police released surveillance footage of part of the attack. It shows a man suddenly accosted on the street, flailing his arms as he tries to fight off the stranger before he falls to the ground. It also shows a woman police say acted as a lookout. 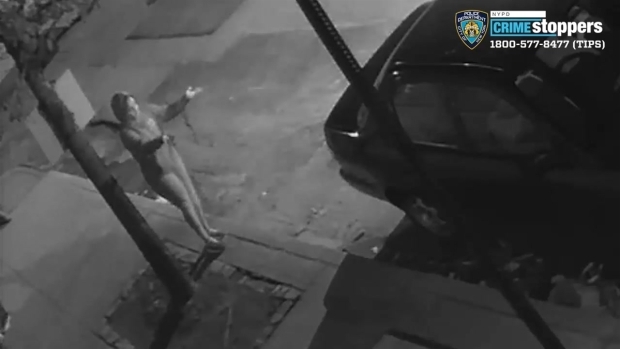 Police released surveillance video of the man who allegedly attacked the victim and a woman they say acted as a lookout.